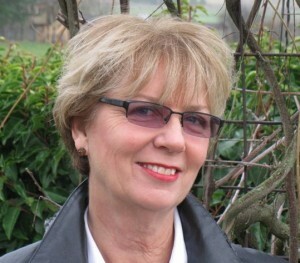 Cheryl Colwell began writing fiction in 2007. True to her tagline, “Stunning Suspense,” her characters visit stunning locations while they pursue adventurous quests peppered with mystery, suspense, and romance. Passionate about all things creative, Cheryl finds inspiration in the countryside of Ashland, Oregon – the perfect venue for her interests in writing, gardening, and art. John, her husband, best friend, and chiropractor, keeps her in shape for gardening and writing long into the night. They are delighted to have four unique and talented children and three grandchildren. A smart and playful English Shepherd makes their empty nest a happy place. Born with the “high ideaphoria” aptitude, writing is a great place to house the flow of ideas that continually burst into my mind. I enjoy creating a maze of plot puzzles and then figuring a way out for my characters, taking them through a gauntlet of trouble to spice up the story and watch the characters grow. Generally, I get a kernel idea for a story, then begin to research events around the idea or around the time of the idea. The story begins to take shape based on what I learn. Since I love history, this is a great time to do an in depth study on different subjects while plotting my story. The surprising turns the story takes makes it enjoyable for me as well as for my readers. Yes, Sometimes, I take the posture they are in, “put on” the attitude they are having, and listen to what they say, watching what they might be doing with their hands or facial expressions. Write what you enjoy. In the age of self-publishing, there is no reason to write to please someone else. That said, do it well. Get feedback and don’t be easily offended at the opinions of others – it is usually very helpful for learning to write. Go to conferences, take workshops, join a critique group. People will rarely stick with a story that is poorly written. We all have to go through the learning process, one that never stops. Also, give back. After you’ve learned something in this industry, be willing to spend the time to bring other authors along. I am not a patient person, although writing is curing me of that. After writing my first novel, The Secrets of the Montebellis, I found an interested agent, yet she could not find a home for the book. It was a great process, because each publisher’s comments helped me to discern and fix problems with my manuscript. It is now a much better novel. When my agent developed health problems, we parted ways, and I began to research indie publishing. I started a publishing business and learned to market (two other careers in themselves), and just published my second novel, The Proof. Stories are here to stay, whether ebook or print. I love to browse in bookstores and hope for a resurgence of small, local stores that will make good indie books available as well as those traditionally published. Self publishing allows new authors to enter the game, although it is a BIG game. The challenge is how to let the reader know you have something worthy of reading. Writing takes such a huge time commitment and gives back so little return, that many writers give up. In the end, the reader is the determining factor. If there is no audience for your book, it won’t go anywhere. Even without financial success, however, I would hope a person would continue to write for their own enjoyment.